Spending time in the hospital isn't a pleasurable experience for anyone. For children, it can be nothing short of terrifying. Kids with complex conditions can feel alienated by all the confusing medical terminology being thrown around and scary-looking medical instruments everywhere they look. Boston Children's Hospital is looking to relieve much of this anxiety with HealthVoyager - a virtual reality (VR) platform that helps doctors explain complex medical conditions to children. The new tool has been developed in partnership with Klick Health - the world's largest health marketing and commercialization agency. Designed specifically to close the communication gap between pediatric patients and their doctors, the first iteration of the tool is for pediatric gastrointestinal (GI) patients and uses 3D VR imaging to bring an individual's medical records to life as they take an immersive tour through their own insides. HealthVoyager GI - as this particular version is known - allows physicians to easily recreate a patient's actual endoscopic procedure and explain conditions such as Crohn's disease or ulcerative colitis in an engaging and memorable way. "There is a ton of information that needs to be communicated and it is technical. There is no lexicon that the physician and patient has in common," said Vice President of Klick Labs at Klick Health, Yan Fossat. "The patient might try to explain what they have, but they don't have the medical training to [put it into words], and the physician might try to explain to the patient what they found but don't have the right words. Even words like "titration" - to a doctor, it is a common word, but for patients it is incomprehensible. That challenge of communication ultimately leads to patients not understanding their condition." Traditionally, patients and families receive paper-based education tools that are not necessarily individualized to the patient's test results. These materials are also usually written in highly technical medical language, which may not be easy for patients to understand on their own. HealthVoyager GI allows patients to see exactly what their providers saw during their endoscopy or colonoscopy. Doctors input the clinical findings of these procedures into a web interface containing digital illustrations of the upper and lower GI tract. They can then insert any polyps, ulcers, bleeding, or any other conditions precisely where they exist in the real patient using simple "drag and drop" maneuvers. The system then generates a personalized QR code, which the young patient or family member can scan using their mobile phone. The patient then creates their own cartoon avatar, slips on a VR headset, and begins the VR experience. As they travel through their GI tract in 3D, they see an accurate depiction of what their doctor saw during the procedure. For added context, patients also have the option of viewing a healthy gastrointestinal tract for comparison. "It's really simple and makes them feel some emotional tie to the program," said Fossat. "It's a cartoony representation of their own gastrointestinal tract. It's less medical looking. But it's their precise anatomy. If they have a polyp [...] the 3D version shows the exact location." For Michael Docktor, MD, a pediatric gastroenterologist who co-developed HealthVoyager GI and is Clinical Director of Innovation at Boston Children's Hospital, the tool presents young patients with a more palatable view of what's going on inside them and resonates more deeply than traditional patient education. "Putting myself in a nine-year-old's shoes, I can see HealthVoyager being a more fun and valuable way to learn about and share complicated information like endoscopic findings," he said. "We hypothesize that the more children and their families can visualize and understand their disease, the more likely they may be to communicate when they have a particular symptom and adhere to their therapies." Although HealthVoyager is aimed at children, Fossat says it is likely to have applications for adults as well, as cartoon-like illustrations and 3D representations often make it easier for people of all ages to understand a complex medical situation inside the body compared to photographs. For now, HealthVoyager GI is still in trials, with the hope to validate its effect on young patient and family understanding, engagement, and satisfaction. Fossat is confident positive results will be seen. "Hospitals have started using VR in healthcare, most notably to distract hospital patients as part of pain management," he said. "That's important, but it's only scratching the surface of what's possible in patient care. Customizable patient education experiences like HealthVoyager have the potential to directly impact the course of a patient's illness in a major way." 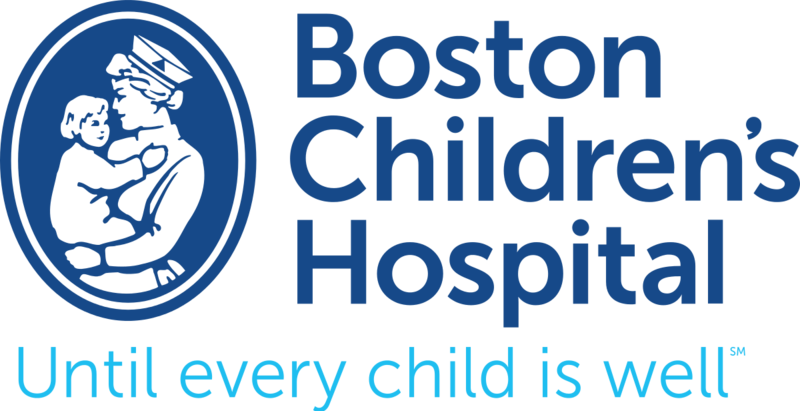 You can hear Sara Toomey, Chief Patient Experience Officer at Boston Children's Hospital, speak at NGPX 2018 this November at the Rancho Bernardo Inn, San Diego, CA.